There are lots of ways to achieve a 3D display. Most of them are based on simple principal – display a different image to each eye, and so create the illusion of a 3D image. Probably the easiest way to make 3D images is to separate the right and left image using colors. The image has two color “layers”, and you separate the layers using glasses that has blue/red lenses (or cellophane paper, in the cheapest glasses). 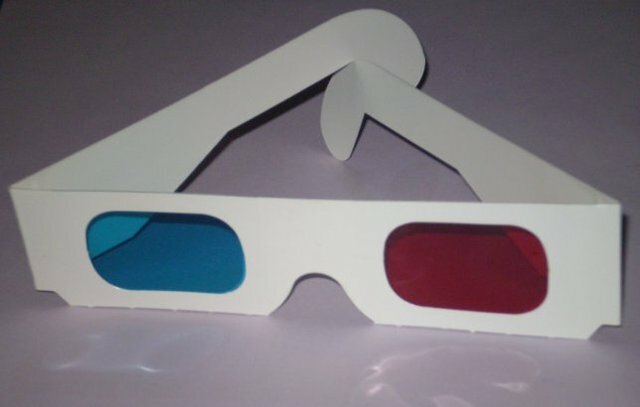 This is called Anaglyph 3D, it’s cheap and easy to do as you don’t need a new TV and the glasses are very cheap. The problem is that you lose colors in the image. It simply looks bad. 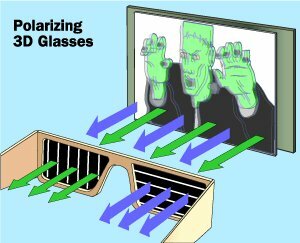 A Polarized 3D uses a polarizing filter on the image so the left and right images each has a different polarization. You use passive glasses that filter the right image for each eye. This technique is popular in the cinemas using two synchronized projectors. Making a polarized 3D LCD panel is not easy as the LCD already has a polarizing filter, and you lose half the resolution, but it is possible. LG for example seems to be better on polarized LCDs as their leading 3D technology. One of the advantages of passive glasses is that they are very cheap. The new breed of 3D TVs and projectors make use of a simple idea – you display images for the left and right eye alternatively – once the image for the left eye, and once for the right. Now all you have to do is wear glasses that block each eye in sync with the display, and you get 3D. Active Shutter 3D glasses main advantage is that the image looks great – just as they look in 2D on the same display. Active-3D is costly, though. The display must refresh the screen fast enough – at least 60Hz for each eye, which means 120Hz for the display itself. The glasses are also expensive (over $100 usually) – they have to include 2 LCDs, and batteries. And you also has to synchronize the display to the glasses (usually using Infra-red). In short – you must get a new TV (or projector) that supports active-shutter glasses. 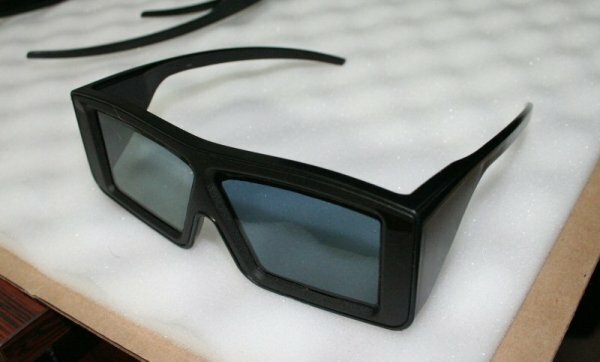 It is projected that within a few years, most TVs on the market will support this new 3D technology, and most TV makers (including Sony, Samsung, LG, Toshiba, JVC and Panasonic) have already selling high-end models that are 3D-enabled. Auto-Stereoscopic displays display different pixels to each eye, using optics (lenses or barriers) to direct the correct pixels to each eye. The nice part is that you don’t need to wear any glasses to experience the 3D image! But there are many problems with these new kinds of technologies. Basically there is just one location you can be in order to view the 3D correctly (just one viewpoint). You can add more viewpoints, but each viewpoint actually requires two ‘dedicated display’. This means that if you want 10 places from which you can view the 3D, you need to be able to produce 20 sets of displays – that’s a lot of pixels. Another issue is that the display is always in 3D. You can’t view a 2D image. There are some solutions to that, too (for example Sharp is using 2 sets of LCD layers – one for 3D and one for 2D, and you can turn off the one you do not want to use).